Sara and I posted some interesting ideas for frugal summer fun last Friday. Did you read through them? Here are the links in case you didn’t: Part 1 at Sara’s and Part 2 at my Examiner column. My hostesses and I have shared consistently for just over six months. We’re hoping to have a year-end celebration. What kind of giveaways do you like – coupons? crafts? products? Bueller? KIM, you won the Laughing Cow coupons! I’ll be in touch. This entry was posted in frugal family and tagged frugal tuesday tip, giveaway winner. Bookmark the permalink. 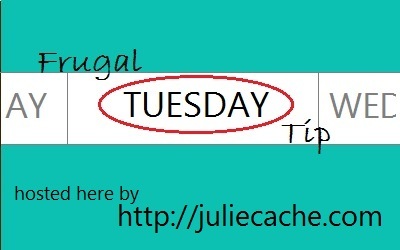 2 Responses to Frugal Tuesday Tip and a Winner! Congratulations on 6 months! This hop is a wonderful resource and I look forward to it each week. Thanks for hosting.